Title: 5357 - Now I shall know if you loves me! Maintenant je saurai si tu m'aimes. 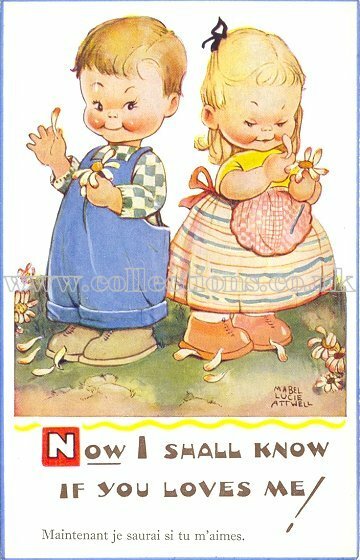 Publisher: All Genuine Attwell Postcards Have The Artist's Signature Thus:- (shows example of signature) 5357. Copyright. Valentine & Sons, Ltd., Dundee And London.